The Groomers Spotlight is thrilled to present the new T-Shirt available to buy through the site. The B&C Quality is evident and these are immensely comfortable to wear. 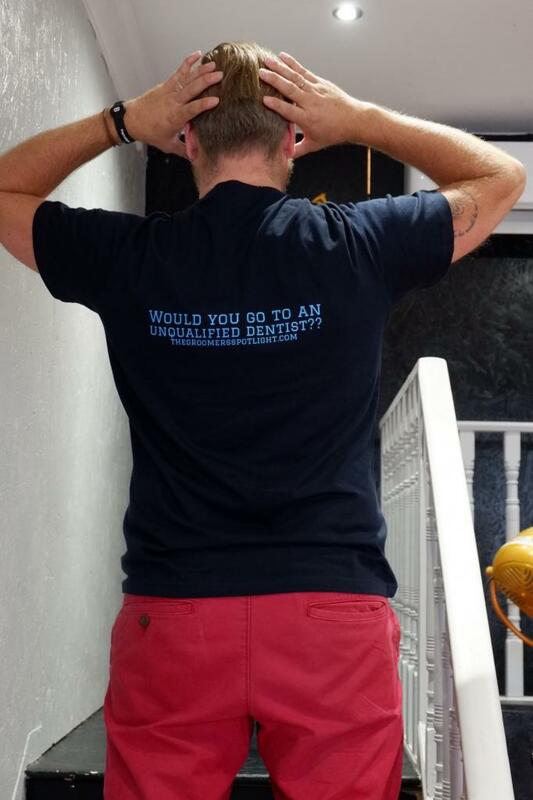 The front in Embroidered with the Groomers Spotlight logo and the back has a large image transfer reading "would you go to an unqualified dentist"? These T-'s are 100% cotton and are slim fitting with side seams. They are a bargain at £20 plus £3 postage. 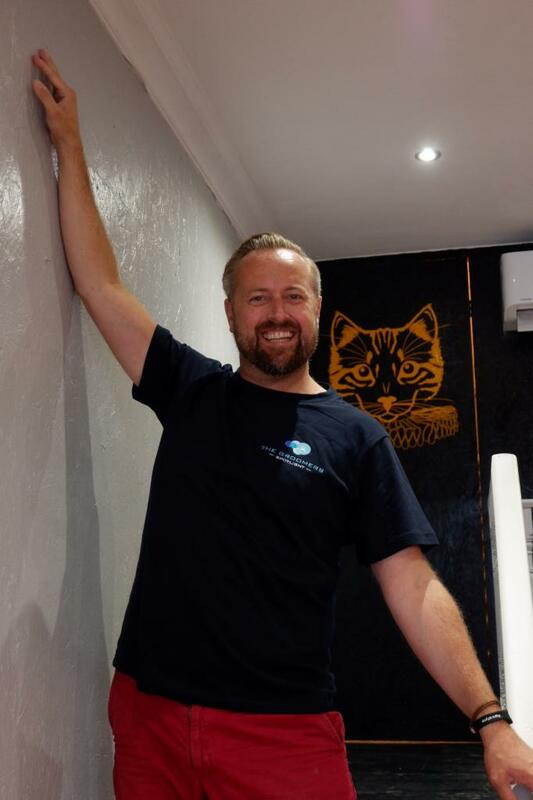 Stand out from the crowd in your Groomers Spotlight T-Shirt.